That nice mat of dryer lint is very efficient at wicking the oil out of the motor bearings, resulting in premature motor failure. It’s also an excellent fire starter. Yeah, I hate it when I wake up and find myself burnt to a vaguely human-shaped lump of black, flakey charcoal. Very difficult to quaff a mug of my flavorite fermented beverage in that condition. So, to avoid all that unpleasantness, I periodically disassemble my dryer and vacuum it out thoroughly, especially around the drum rollers, motor, and heating element/burner. Then I’ll disassemble my dryer vent and use my supah-bad LintEater Rotary Dryer Vent Cleaning Kit to clean it out. 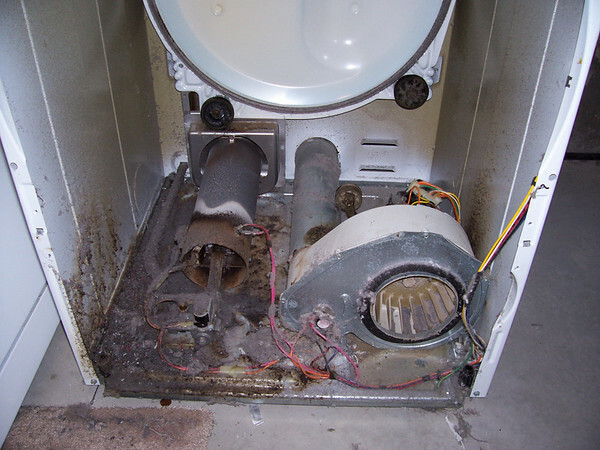 Contrary to the urban myths, Venterialsclorosis is an effect of poor dryer venting, not a primary cause. This means that the dryer vent was poorly designed and/or installed and was a cruddy venting system when it was brand new. 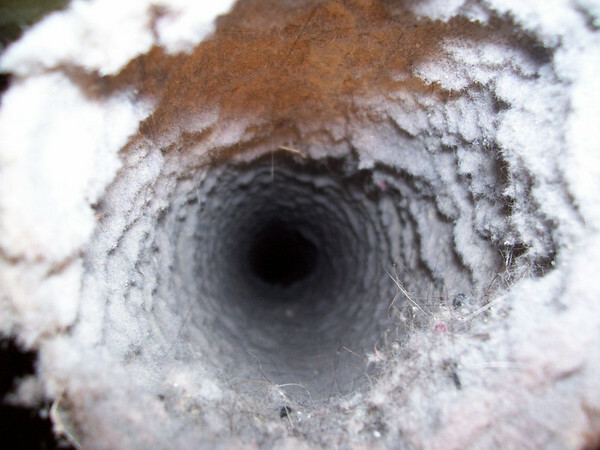 As you used the dryer, the restricted air flow through the vent, coupled with possible condensation problems inside the vent, caused the lint in the dryer exhaust to settle out of the exhaust stream and begin accumulating inside the vent. BTW, if your dryer vent is made out of spiral wound foil or, worse yet, white vinyl, then you’re really achin’ fer a bakin’, Budrow. These are very inefficient materials that create backpressure in the vent and long drying times which means wasted energy and money. And, in the case of the white vinyl, the vent itself poses a fire hazard. Oh, I know, you’re thinking, “Heck, Bubba and them all vent their dryers using this cheap garbage so that must be the way to go. Why’s this Samurai guy tellin’ me it ain’t?” I explain why ratcheer. 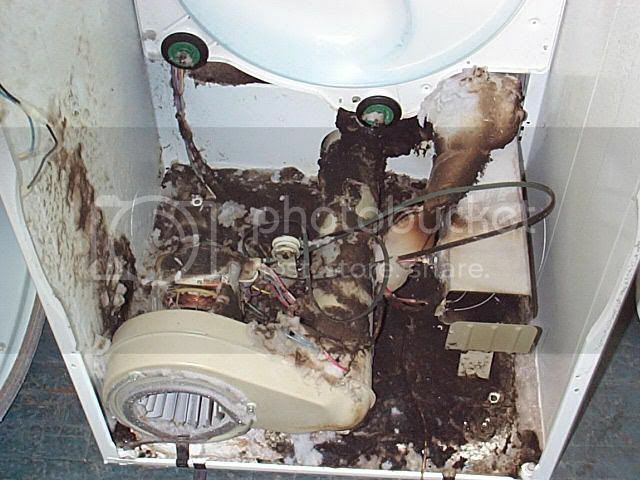 This entry was posted in Dryer Repair on December 26, 2006 by Samurai Appliance Repair Man.